Are you looking for ground cover plants? Because oh, are there a huge number of these plants available. They range in size from only an inch or two to nearly a foot tall. Some creep steadily along the ground, where others grow up, flop over, and then trail out. If you’re concerned about soil erosion, or sick of your lawn, ground cover plants are for you. Landscaping professionals love them as they can be used to create curves of color. They can grow around the bases of shrubs or bushes in the yard. And they’ll even look good right at the root area of your ornate fruit trees. 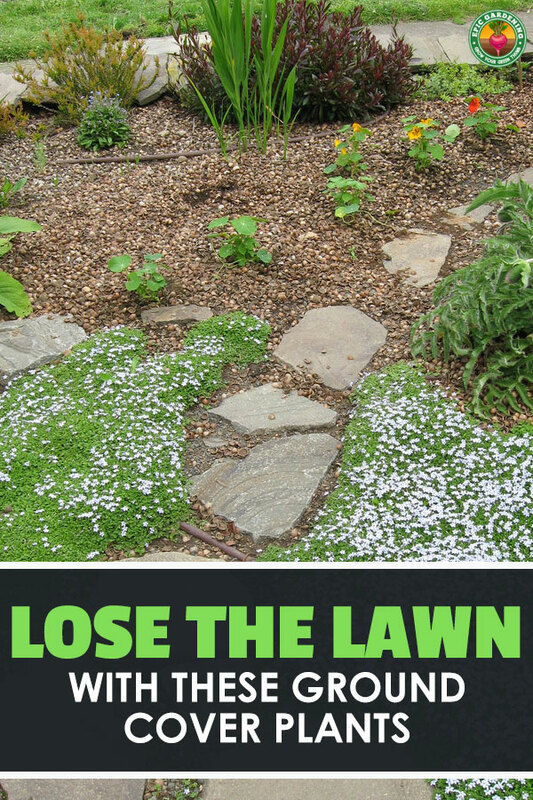 So let’s go over some information about how best to utilize ground cover plants in your yard. We’ll explore a few popular ones for each of multiple categories. Then all that you’ll need to do is to start seeds and get to planting! Lawns can be a real hassle at times. Even in the best conditions, you will have issues with weeds popping up in the midst of the grass. Weeds like dandelions and annoying crabgrass infestations will wreak havoc on the green turf. Other weeds infiltrate, too. But when planting ground cover plants, you’ll avoid much of that. Sure, you may still have some weed issues, but once the ground cover takes over, most weeds won’t survive. The dense matting of roots that these hardy little plants put down choke out other growth. A ground cover can look lush in all sorts of weather, and often requires far less watering than a standard lawn. It requires less frequent fertilization as well. And if the plants begin to get too tall, many types can be trimmed down to size using a standard lawn mower. 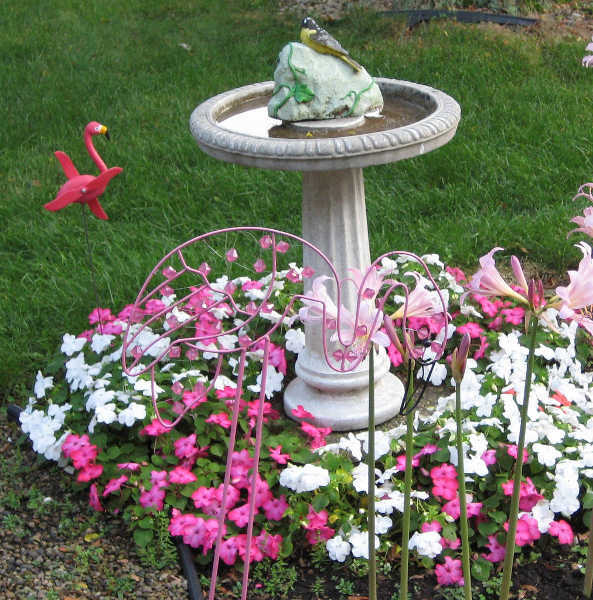 Additionally, your “lawn” will be a cacophony of bright flowers during parts of the year. From spring into the summer and possibly even fall, colored blooms will dapple your yard. Unlike grasses, your ground cover plants can be a real draw for pollinating insects. Butterflies are often drawn to your plants for nectar, as are bees. If you’re trying to grow vegetables, having these beneficial insects at hand is great! Ground covers don’t all have to be traditional. There are miniature succulents and taller plants. Round leaves, fern-like leaves, or even pointed grassy leafed plants are visually appealing. Did I mention that they can smell amazing? 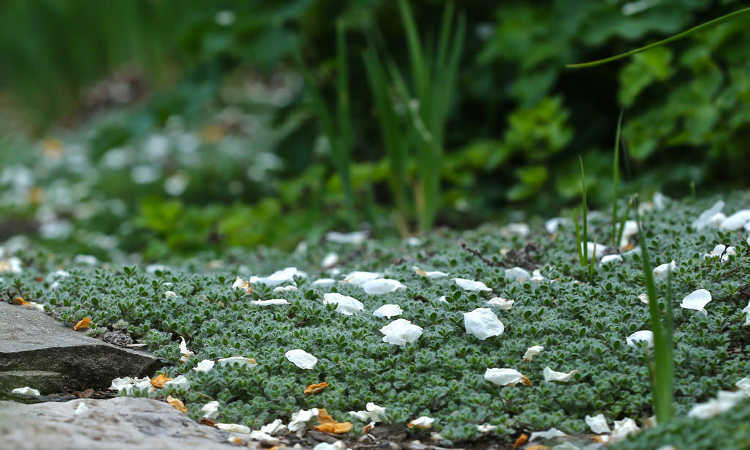 If you’ve always wanted your yard to smell like the herbs you grow, a ground cover plant may be for you! And if you find yourself needing a sprig of thyme for a recipe, you might have an entire yard full awaiting you. If you have children or pets who are likely to play on your yard, you can do a blended yard. Leave a segment of grass for them to play on, and turn the rest into a sculpted landscape of flowering delight. Do you want to give the effect of rolling hills of color in the yard? Ground cover plants can help with that, too. Start with a maintained short lawn space. Sculpt a curved bed into it and amend it and plant ground cover plants there. 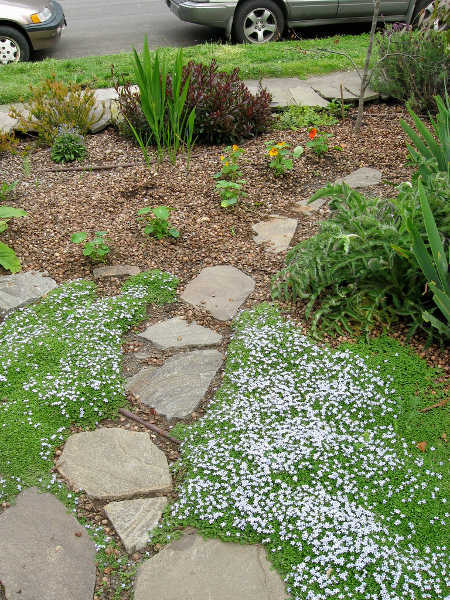 As ground cover plants vary from only an inch or two tall to 10″, you can do multiple “layers” of beds. Use flexible garden edging to separate the roots and prevent spreading. This can create the visual effect of a tiered garden and spare you a lot of headaches. Ground cover plants can also be worked into beds to prevent weed development. They’re especially useful around established perennials or shrubs. Be mindful not to mix these with plants that don’t like to be crowded, as they can creep around other plants. If you’ve got spaces between raised beds and you just don’t want grass there, plant a ground cover instead. You won’t have to fight with weeds or irritating grasses, and they’re easier to maintain. Ground cover plants can really look lovely surrounding stepping stones or pathways. When in flower, these provide a luscious carpet of color that’s sure to brighten your yard! Before you can select a plant as a ground cover, there’s some important things to know. First, you’ll need to know your soil type. Do you have clay soil? Sandy soil? Loamy soil? Is it well aerated or is it somewhat compacted? 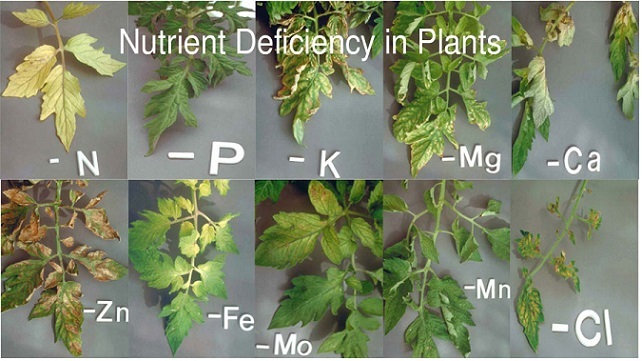 Different plants will prefer different soil types. While some can grow in even poor soil, many prefer richer, well-draining soils. Clay is hard to grow a good ground cover plant on as it can bake to a rock-hard consistency. You may need to amend your soil for specific types of plants. The area that you’ll be growing in has an impact as well. If your yard is fully shaded, sun-loving varieties won’t work for you. And desert dwellers shouldn’t choose mountain plants or those which prefer wetter conditions. Height is also an issue. Some people want plants that stay only a couple inches tall so they simulate a lawn a bit better. If you’re layering in different heights, you’ll need multiple different sizes. Speed of growth can be a factor. 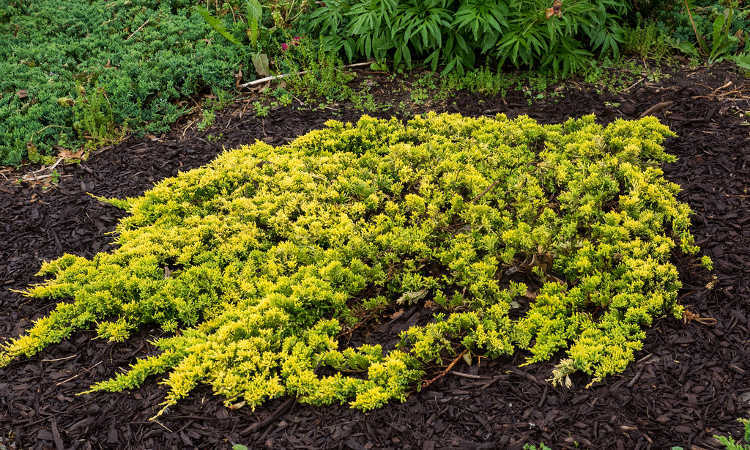 If you’re doing a variety of ground covers, one which grows faster than all the others may become a problem. It can choke out the other plants’ growth or take over all the available space. Don’t forget to be aware of its temperature requirements! A plant which does well in hot sun may not do well if your temps drop to freezing in the winter. Be mindful of both your average high temps and your low temps, and pick plants that can handle both. There’s a wide variety of plants which prefer to be out of direct sunlight. While some of these can tolerate a little bit of sun, they often thrive in shady conditions. This makes them perfect for those awkward spaces under or around foliage. They’re also great alongside buildings where the sun rarely reaches plants. An aggressive grower, Leptinella gruveri prefers to remain in the shade. Still, it can tolerate some morning light. Its leaves are fernlike in shape. Greenish-gold flowers appear throughout the spring. Ideal in zones 7-10. Impatiens walleriana is a popular flowering ground cover. 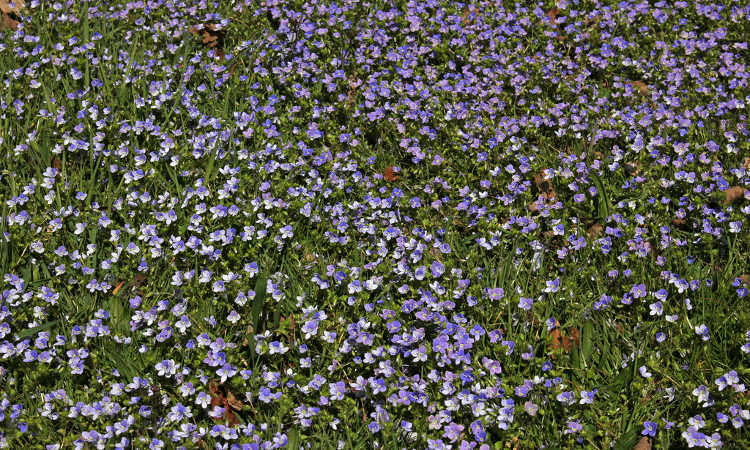 Growing on average 7-10″ in height, this short plant can be a very effective ground cover. They work especially well on borders or in layered beds. Best in zones 10-11, although other impatiens species can grow as cool as zone 3. Soleirolia soleirolii is called many things – angel’s tears, baby’s tears, even “mind-your-own-business”. This relative of the nettle is a shade and moisture-loving plant. 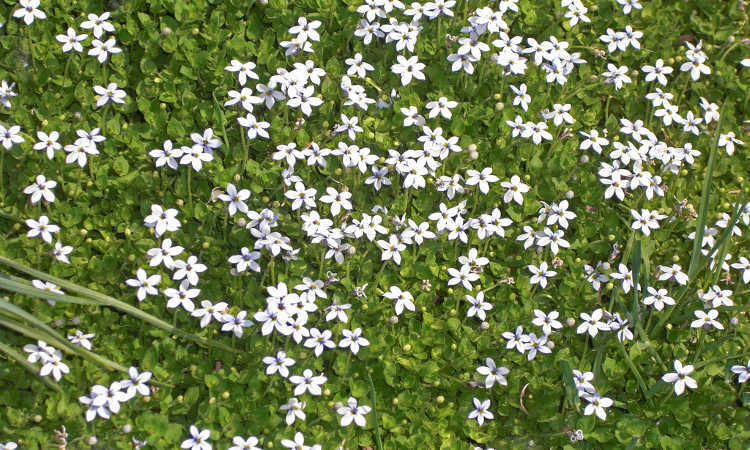 It produces a blanket of tiny white flowers overtop lush green foliage. Baby’s tears grow best in zones 9-11, but may die back a bit in zone 9’s winter. Sometimes called green-and-gold, Chrysogonum virginianum is a popular ground cover. It blooms best in cooler conditions, making it a perfect shade plant. Tolerant of some sunlight too, it requires moist-well-drained soil. Grows in zones 5-9. Producing a sweet scent, Galium odoratum prefers the shaded areas too. It loves soil rich in organic material, but wants it to be well-draining while moist. 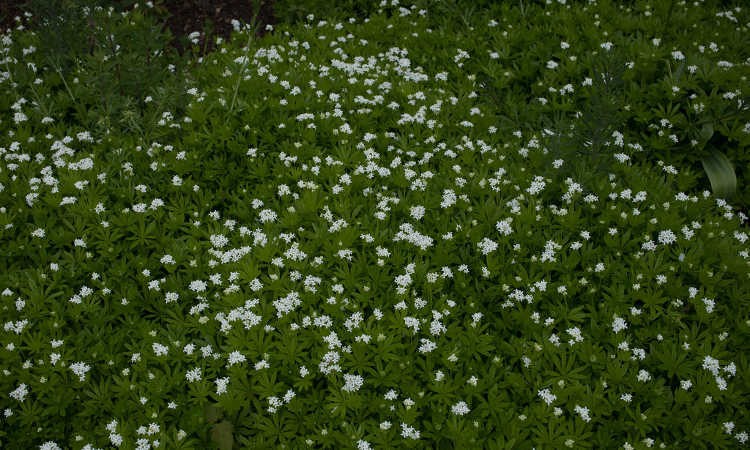 Sweet woodruff spreads via runners and can become invasive if not maintained, but is easy to care for. This plant is a wild shade cover plant in some regions. Zones 4-8 are preferred. 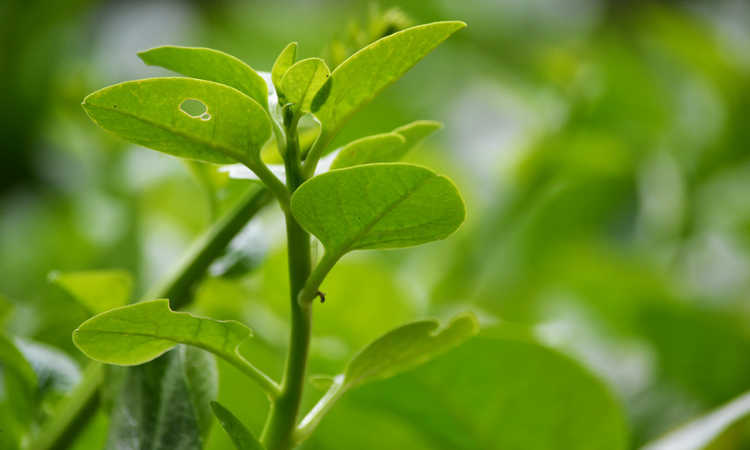 Looking for a plant that can handle both shade and sunlight? The following plants are perfect for you. It’s best to avoid desert full sun conditions on these as they may be subject to sunburn. But if you’ve got a space that’s intermittently shade or sun, they’ll grow nicely! Tiny little phlox plants that rarely reach above 6 inches in height? You bet! 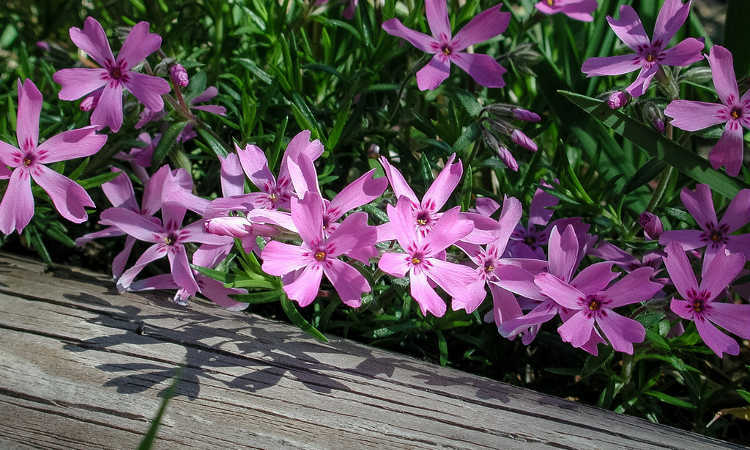 Creeping phlox flowers in pink, white, purple or blue colors and makes a dense little mat of greenery. 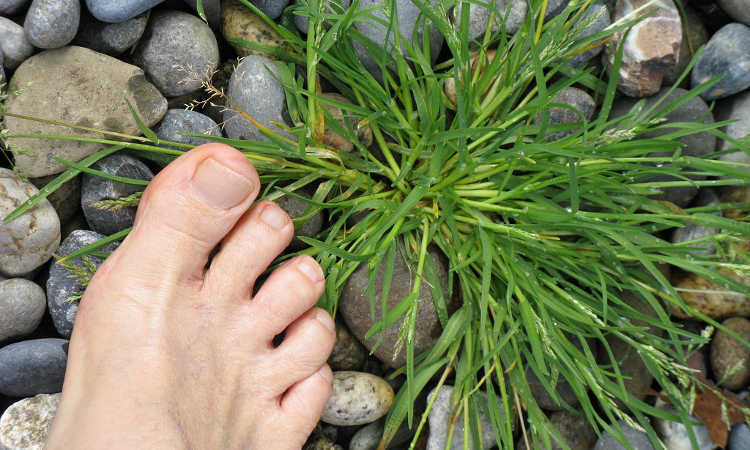 This plant’s not good for walking on, but for manicured lawn replacements it’s great. Best in zones 3-9. 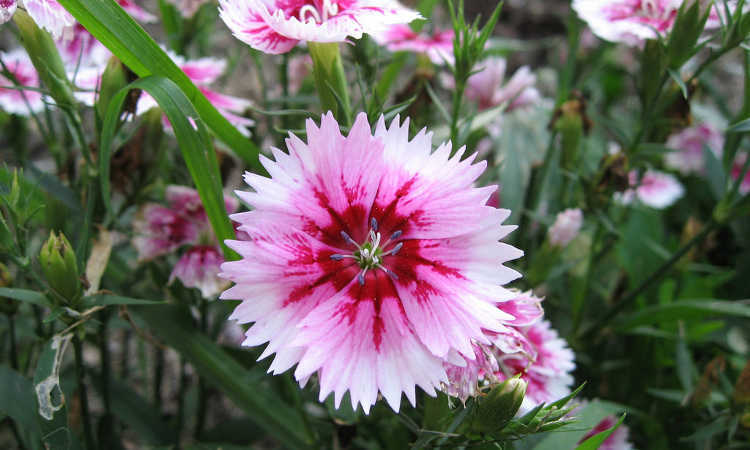 Sweet william, pinks, and dianthus have been in our spotlight for a while. But the dwarf varieties make phenomenal ground cover plants! Dianthus gratianopolitanus is a perfect example of a ground cover species. They’ve got lower watering requirements than other ground covers and will slowly spread. Ideal zones for these are 3-9.
Who doesn’t love mints? Mentha requienii produces miniature mauve flowers overtop of rounded tiny leaves. Its minty aroma makes this plant a favorite for use around stepping stones. Tolerant of being walked on, this plant stays low to the ground. Corsican mint grows in zones 6-10. With blooms from mid-spring to almost mid-summer, Mazus reptans is a great choice. Fairly drought-tolerant, it can grow in full sun but flowers more in partial shade. Its flowers range from blue to purple in hue, and it’s a quick spreader. Ideal for zones 4-10. There’s many names for Isotoma fluviatilis. Whether it’s white star creeper or pale blue, it’s a perfect partial-sun plant. Spreading rapidly in filtered light, it can tolerate full sun in cooler weather. I’m particularly fond of the blue flowered form, but it can produce blue, white, or mixed flowers. Grows best in zones 6-9. Those wanting to replace their lawn or with larger spaces are likely in need of full sun plants. Plants like these will hold their own against the direct sunlight with ease. They might need a little extra watering in the summer, so remain attentive to their needs! Edible herbs as ground cover? Definitely! 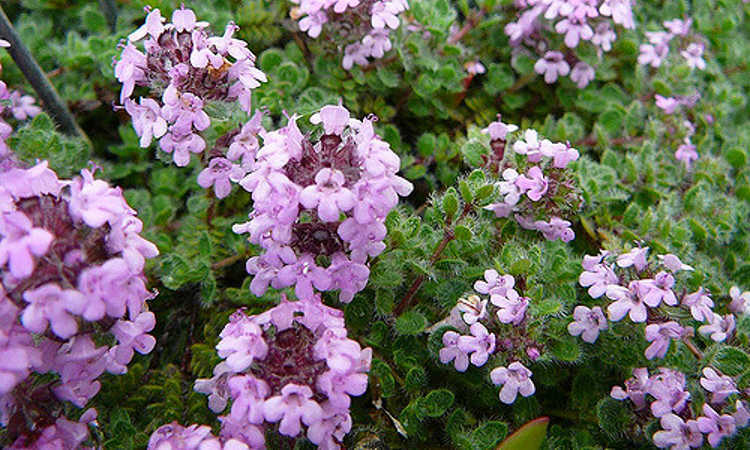 Not only does creeping thyme lend itself well to being a ground cover, but it holds up to damage. Walking on it will cause little bursts of thyme scent to accompany every step. It produces itty bitty purple-pink flowers, and has tiny, delicate leaves. Perfect in zones 5-9. 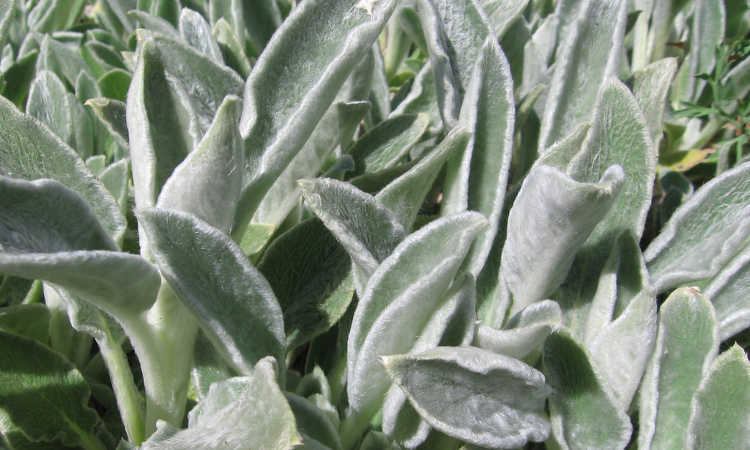 Silvery and thick, the leaves of lamb’s ear create a soft grey backdrop for spring purple flowers. 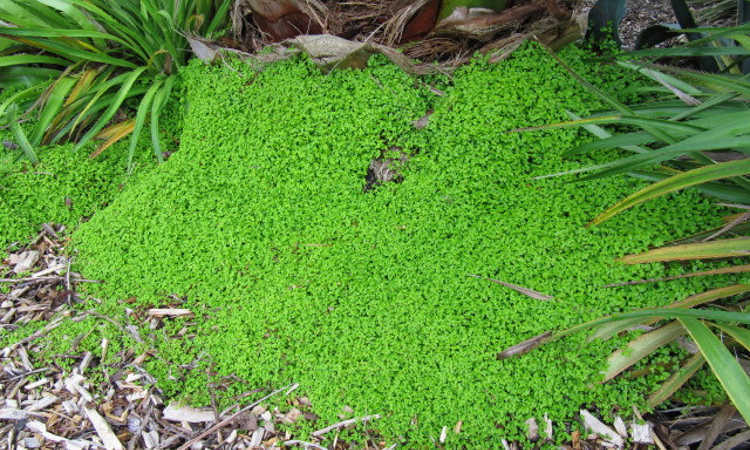 Not as small as some other ground cover plants, it typically reaches heights of up to 6-8″. This plant does best in zones 4-9. Veronica filiformis grows well from full sun into dappled shade regions. Its miniscule purple flowers emerge in the spring, delicate and beautiful. 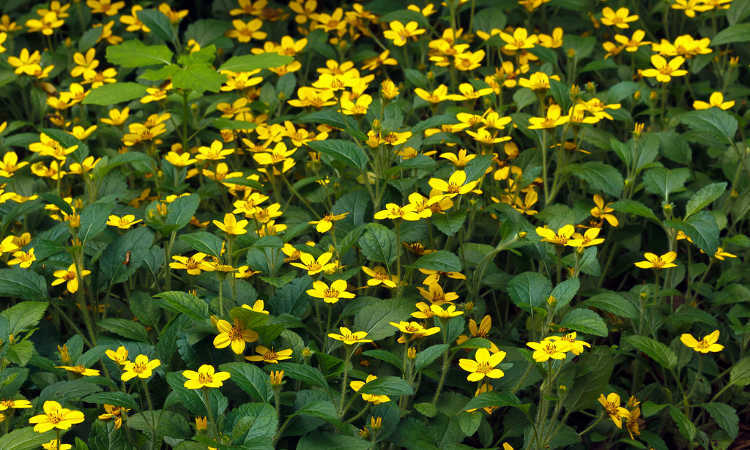 This plant is one of the lowest ground cover plants we’ve discussed, averaging 1-2″ in height. Great in zones 6-9! Fuzzy, grey-green leaves with tiny pink flowers? Why not! 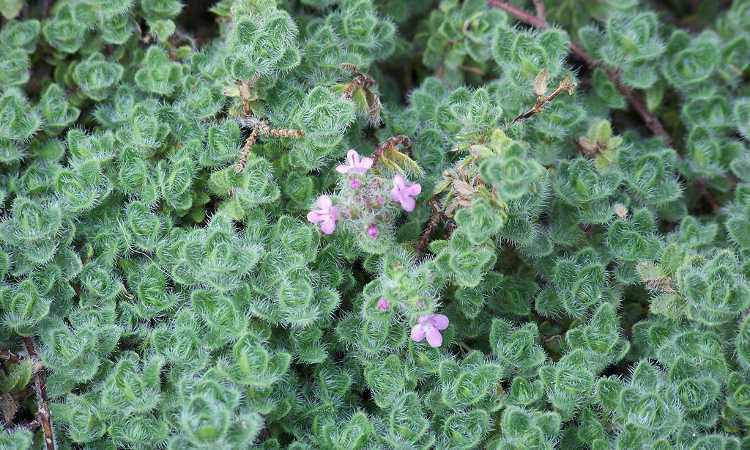 This thyme variety has tiny hairs on its miniature leaves which give it a silvery cast. Underneath those furry hairs are light green leaves. While this is not a popular edible thyme, it has the traditional thyme scent underfoot. 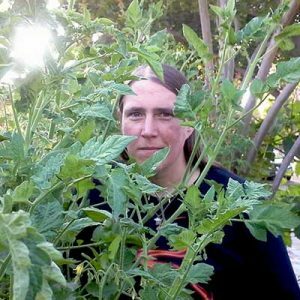 The hairs make it less likely to develop sunburn even in very hot climates. Ideal in zones 6-10. Juniperus horizontalis is often used for erosion control. It can be seen on hillsides throughout southern California, especially at the coast. 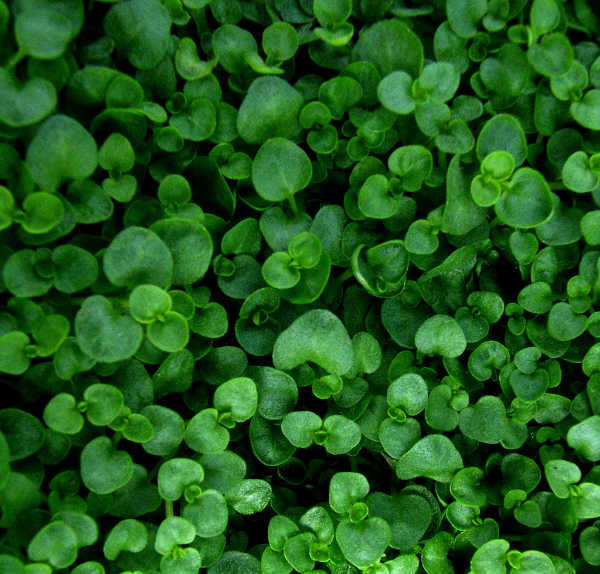 Whether it’s a dark green variety or a brilliant yellow-tinged one like Mother Lode, it creates a 6″ carpet. Zones 4-9 are where it grows best. But what if you’re in an arid area where xeriscape is the norm? Desert dwellers often find themselves in need of heavy watering to keep plants lush. There are drought-tolerant options for these regions as well! While slightly more exotic to see, these plants can be a wonderful addition to any yard. 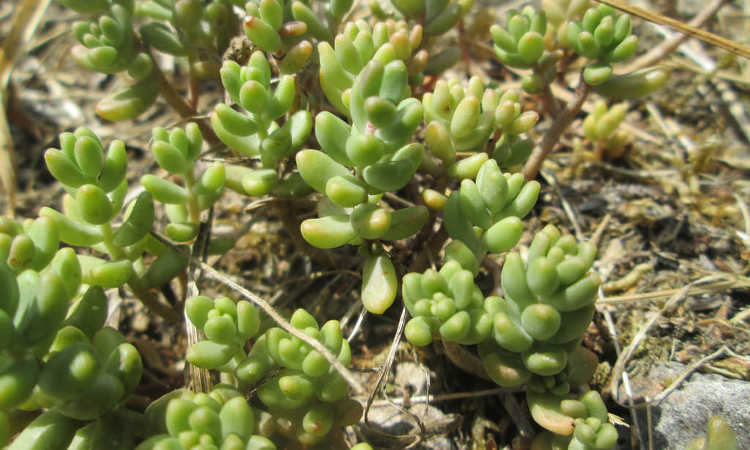 Tiny succulent leaves and white flower spikes are common for Sedum album. This drought-tolerant plant flowers in the summer months, sending up beautiful little spikes. In the fall months, the succulent leaves turn pinkish-red. Zones 4-9 are best for sedum. 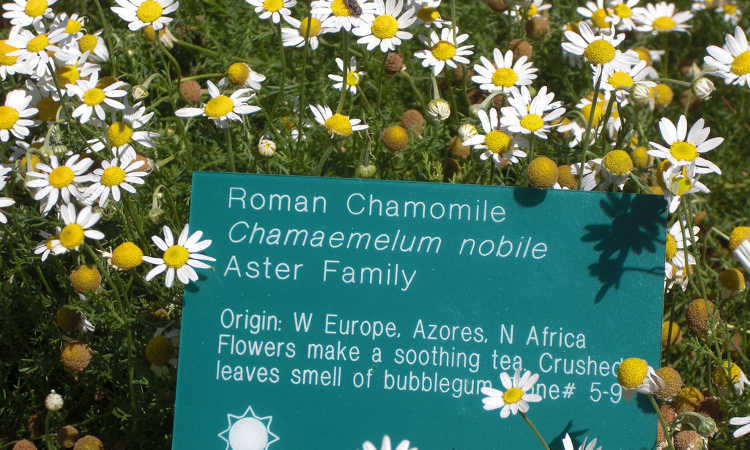 Chamaemelum nobile thrives in hot and dry conditions. While it can become a bit weedy in appearance, you can use a mower to trim back its stems to about 2″ after flowering. Its flowers are bright and sunny, just like the environment it prefers. Best when planted in zones 4-9. Poor soil? No problem. 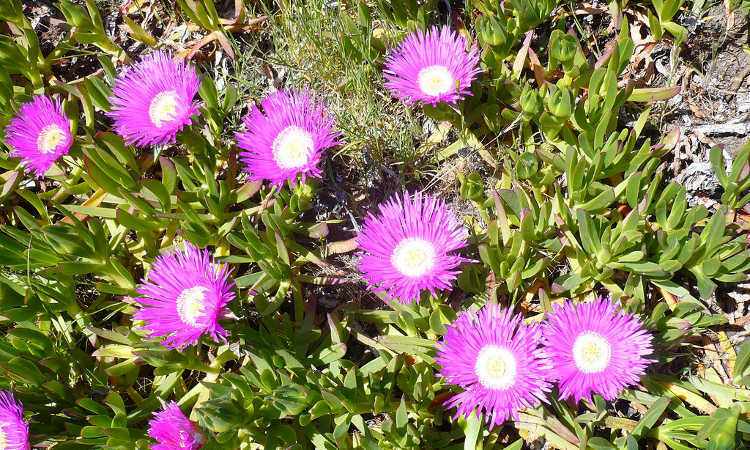 Delosperma is a beautiful succulent ground cover that produces daisy-like flowers. 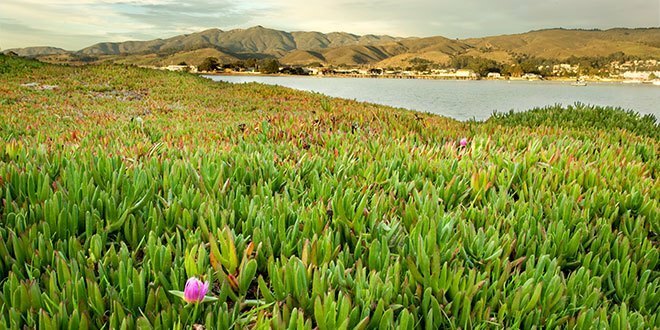 It can perform in poor or sandy soils, making it a common sight along the California coast. No soggy soil, please — be sure it drains well! Plant this in zones 5-9. 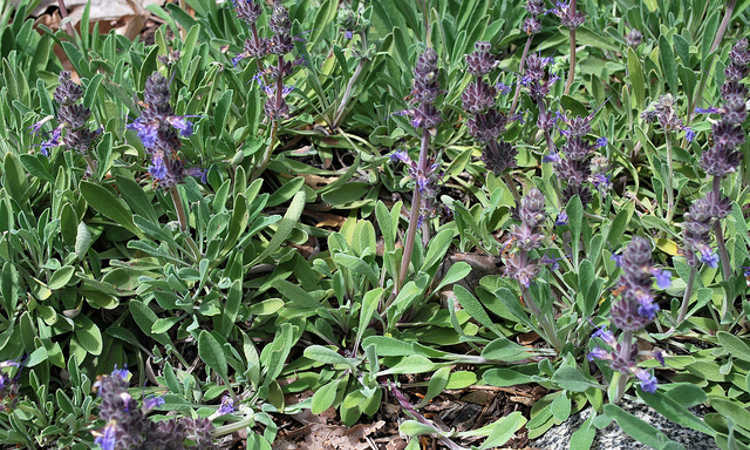 Salvia sonomensis is a low-lying sage plant which only reaches about 10″ tall. Extremely drought tolerant as sages usually are, it’s great for low-water gardens. 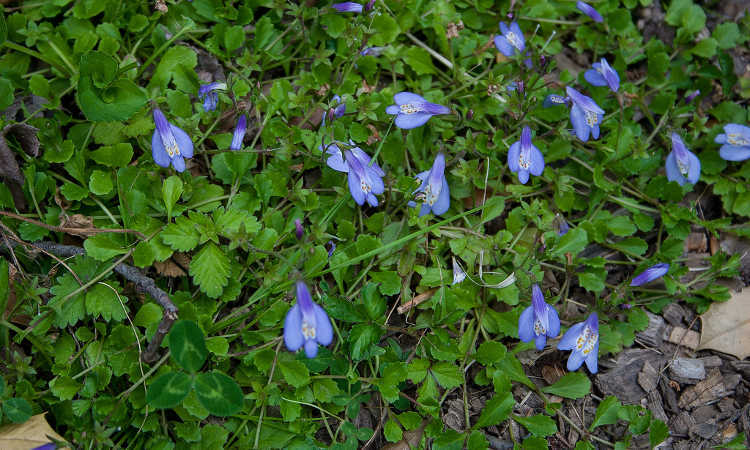 It creates blue-violet spikes of flowers from May to June, and is a perfect layering plant. This sage prefers zones 8-10. 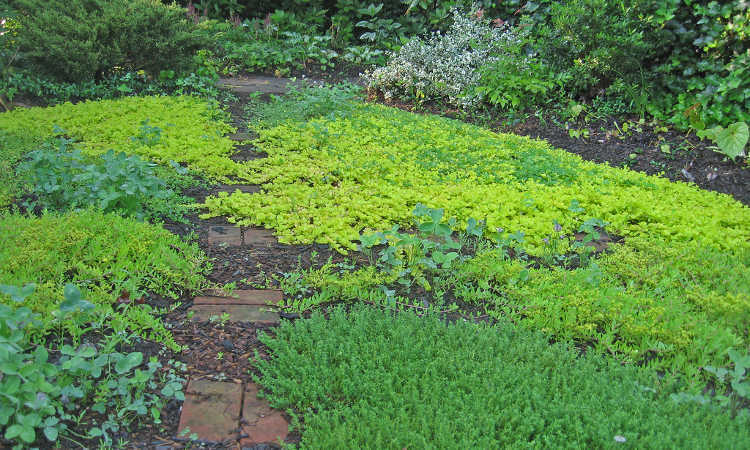 Want a ground cover that doubles as a flavorful culinary herb? Go with Origanum vulgare subsp. hirtum. 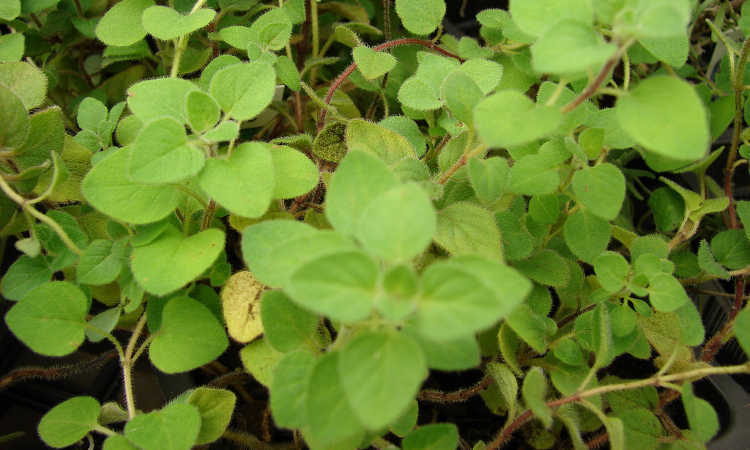 Spicy and jam-packed with flavor, the leaves are perfect as dried oregano. It’s able to hold up to light walking traffic, sending up spicy scent with every step. Best of all, it looks beautiful in the yard as a ground cover. Grow this one in zones 5-9. Tiny leaves and flowers or broad leaves and big blooms, scented or unscented… Ground covers are a fantastic choice for your garden environment. What kinds of ground cover plants do you like? Do you grow one that’s not on our current list? Tell me about it in the comments! Growing grass in front of the house has been the norm for a long time now. This option of growing ground cover plants instead would be a refreshing change. Interesting idea, thank you!